Despite the new, democratic structure Scrum advertises, your managers probably aren’t going anywhere. 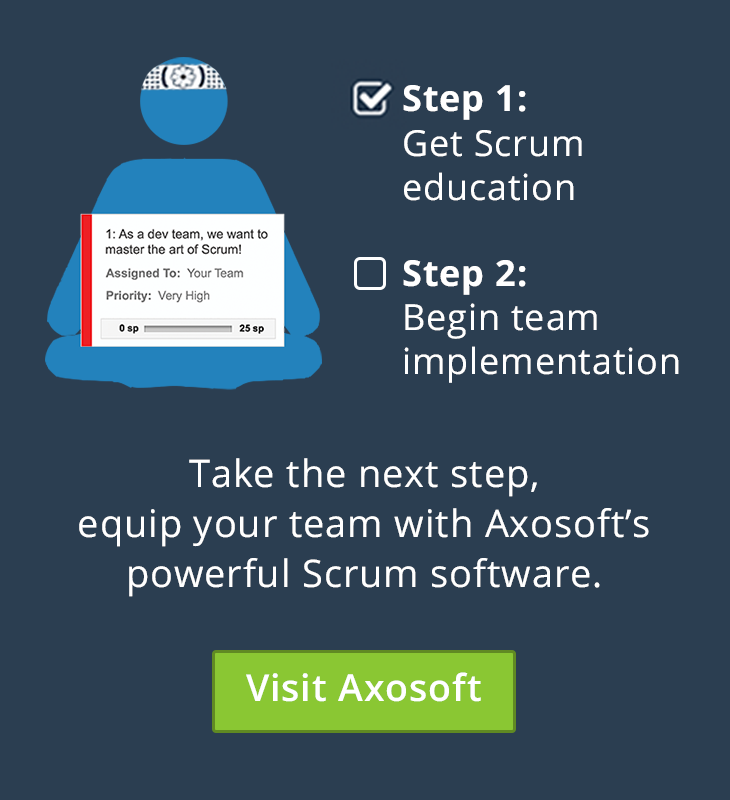 Scrum transformation is an extensive process that hinges on time and trust— it’s no surprise many companies are hesitant to let go of the familiar roles they’ve depended on for years! Even if managerial positions are sticking around though, the role will (or at least, ought to) change dramatically. 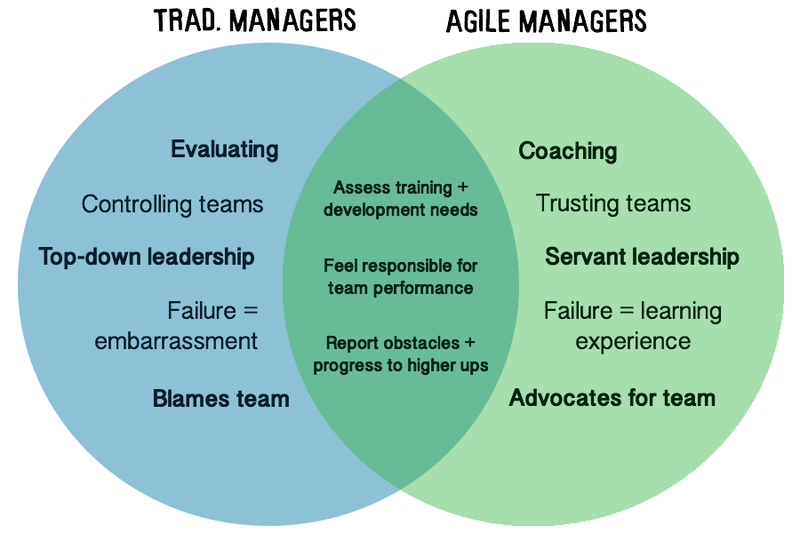 So what are the differences between traditional and agile managers? Where will managers fit in organizations where product owners and Scrum Masters have been thrown into the mix? Because the mindsets of traditional and agile managers are usually at odds, it’s important for transitioning supervisors to have a paradigm shift about their position. Now that we’ve defined the type of mentality managers must adopt to embrace the responsibilities of an agile role, we need to determine what exactly those responsibilities are. And more importantly, why they’ve changed. Influence senior management to empower their team: Does the team need special training or equipment? Well, managers often have the most direct access to budget-makers and make great liaisons to upper management. In the same way Scrum Masters remove daily obstacles, managers have the opportunity to address greater, team-wide issues by getting approval for updated technology and tools. In addition, they may have a greater ability to see what other departments are doing and help the team gain access to resources that are already available elsewhere. Support a culture of innovation and continuous improvement: Teams usually don’t perform at their best when failure could equal “fired”. In this rigid environment most employees will accept a flawed status-quo to avoid punishment, rather than take risks on a new idea or process. However, if team members feel as though managers embrace innovation, he or she will be able to leverage team expertise for improved efficiency. Align teams with the corporate mission/strategy: Because managers are more closely connected with high-level personnel, they are also more connected with corporate initiatives. When the company-wide vision gets obscured as it trickles down, a manager’s job is to ensure the team understands their role in these greater goals. This concept is known as “systems thinking” and it can reinforce the team’s contributions to overall company success.